The inclusive Land and Sea Packages are designed to awaken your adventurous side and connect you with your surroundings. Discover three new UNESCO World Heritage Sites and one new Wonder of the World in South America, hop aboard the glass-domed Wilderness Express® for a 360-degree view of America’s Last Frontier, marvel at the magnificent Canadian Rockies, stand in awe of the natural beauty of Victoria Falls - one of the Seven Natural Wonders of the World - bordering Zambia and Zimbabwe, and travel in nostalgic luxury aboard the Orient Express in Europe. The best part? It’s all included. Sit back, relax, and let Azamara® take care of the details. In-depth exploration of the city where you start or wrap up your voyage, so you can begin your journey before you get onboard. Or make it last a little longer. Discover Africa's wild wonder and cross a safari off your bucket list. 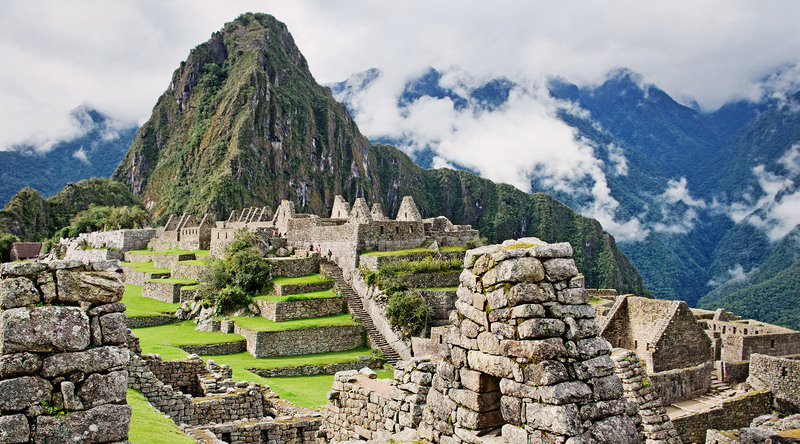 Discover once-in-a-lifetime experiences in Machu Picchu, and Iguazu Falls with Azamara’s South America packages. Experience the natural beauty of Alaska from every angle in the glass-domed rail cars of the Wilderness Express®. Travel by rail between London and Venice aboard the iconic Orient Express.